Ever since her Concertgebouw debut in 1997, Janine Jansen has been a huge star in her native Holland. Today she is internationally recognised as one of the great violinists – a truly exciting and versatile artist. She has worked with such eminent conductors as Lorin Maazel, Valery Gergiev, Riccardo Chailly, Neeme Järvi, Paavo Järvi, Sakari Oramo, Daniel Harding, Mark Elder, Edo de Waart and Sir Roger Norrington. 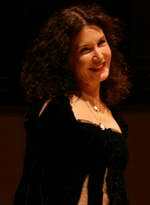 For ONYX she has appeared on a programme of Shostakovich Chamber music with Julian Rachlin and friends. The renowned Czech maestro Jiří Bělohlávek became chief conductor of the BBC Symphony Orchestra in July 2006. Maestro Bělohlávek studied at the Prague Conservatoire and Arts Academy. 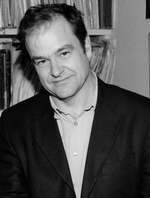 He appears regularly with major orchestras including the Leipzig Gewandhaus, Vienna Symphony, Berlin Philharmonic, Royal Concertgebouw, Philharmonia, London Philharmonic, NHK Symphony (Tokyo) and the Orchestre de Paris. 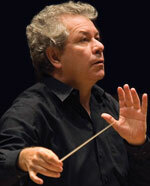 In North America, he conducts the symphony orchestras of San Francisco, Washington D.C., St Louis, Toronto and Minnesota. In his homeland, he was appointed president of the Prague Spring Festival in 2006. American pianist Jonathan Biss is widely regarded for his artistry and deeply felt interpretations, winning international recognition for his orchestral, recital and chamber music performances and for his awardwinning recordings. He performs a diverse repertoire ranging from Mozart and Beethoven, through the Romantics to Janácˇek and Schoenberg as well as works by contemporary composers such as György Kurtág and including commissions from Leon Kirchner, Lewis Spratlan and Bernard Rands. The Elias String Quartet takes its name from Mendelssohn’s oratorio Elijah – of which Elias is the German form – and has quickly established itself as one of the most intense and vibrant quartets of its generation. The quartet was formed in 1998 at the Royal Northern College of Music in Manchester, where the members worked closely with the late Dr Christopher Rowland; they also spent a year studying at the Hochschule in Cologne with the Alban Berg Quartett. Other mentors have included Hugh Maguire, György Kurtág, Gábor Takács-Nagy, Henri Dutilleux and Rainer Schmidt. Born in Barcelona, Spain, into a family of musicians, Josep Caballé-Domenech studied piano, percussion, singing and violin. He took conducting lessons with David Zinman and Jorma Panula at the Aspen Music Festival, also studying with Sergiu Comissiona and at Vienna’s University of Music and Scenic Arts. Born in 1987 in Ludwigshafen as the son of professional musicians, Joseph Moog captivates audiences with his mature stylistic authenticity, transcendental virtuosity and his bold, unique programme selections, which include his own compositions. Twice a winner at the International Classical Music Awards ICMA, in 2012 Joseph received the Award for Young Artist of the Year, followed in 2014 by the Award for Solo Instrumentalist of the Year awarded jointly with the celebrated pianist Elisabeth Leonskaja. 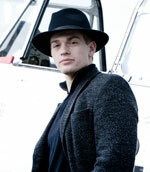 Julian Rachlin has already established himself as one of the most charismatic and exciting violinists of his generation. He has performed with most of the world’s leading orchestras and conductors and is praised for his powerful and refreshing interpretations. In 2000, he began to perform on the viola and now regularly includes the viola repertoire in his performances. For ONYX he has made a chamber music disc of Shostakovich and his next release will be of Piazzolla and Vivaldis' Four Seasons. 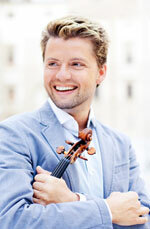 Click here to see Onyx Classics titles featuring Julian Rachlin. The pianist Julius Drake specialises in the field of chamber music, working with many of the world’s leading vocal and instrumental artists, both in recital and on disc. Recordings include award winning recitals with Ian Bostridge (EMI) Hugues Cuenod (Chandos), Nicholas Daniel (Virgin), Derek Ragin (Etcetera), Sophie Daneman (EMI), Paul Agnew (Hyperion), Katarina Karneus (Hyperion), Annette Bartholdy (Naxos), Christianne Stotijn (Onyx), Gerald Finley (Hyperion), Joyce Didonato (Eloquentia), Christian Poltera (Bis) and Alice Coote (EMI). Click here to see Onyx Classics titles featuring Julius Drake. 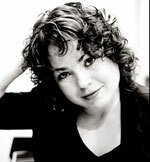 Katia´s musical originality has netted her a rare popularity. Together with her sister Marielle, she enjoys a stunning career throughout the world, playing with the world's most prestigious orchestras and conductors such as Simon Rattle and Semyon Bychkov. She has enjoyed a long concert collaboration with Viktoria Mullova which resulted in a CD for ONYX entitled Recital in 2006. She has also enjoyed success in jazz and modern music in collaboration with John Mc Laughlin, Miles Davis, Herbie Hanock and Dave Maric. She has her own Katia Labeque Band and record label, KML recordings. 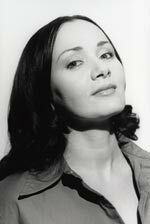 A prizewinner at the Leeds Piano Competition and Scottish Piano Competition, Katya Apekisheva has appeared as soloist with many of the world’s leading orchestras including the London Philharmonic, the Philharmonia Orchestra, the Hall. Orchestra and the Moscow Philharmonic, working with such conductors as Sir Simon Rattle and Alexander Lazarev.